An international group of certified practitioners in the Logosynthesis® method are sharing their learnings. 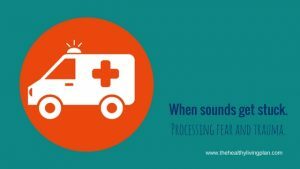 This Case Study Processing Fear and Trauma by Ineke Kersten outlines an application of the method in a situation where the client is experiencing symptoms of fear and trauma after a heart attack. Through the process, the client experiences rapid relief of symptoms. The Logosynthesis International Association provides training and certification in the Logosynthesis® method, ensuring quality standards are maintained for professional practice. As the base of international practitioner expands, so does the understanding of the benefits of this method. Through experiential learning seminars, shared insights and collaboration, the foundation is set to support evidence-based research and further development. For information on Survey results, click here. The development work of the philosophy and method offers very promising results to support individuals in reducing stress and anxiety, processing emotions and limiting beliefs and enjoying life more fully. Professionals from a variety of backgrounds have trained in this method to provide a scope of expertise to aid in the development of the method. There is great excitement about the possibilities offered in the development of this work as learnings are shared internationally.